I can’t claim credit for this idea as my mum made it but it’s proved such a hit in our house that I wanted to share it with you. 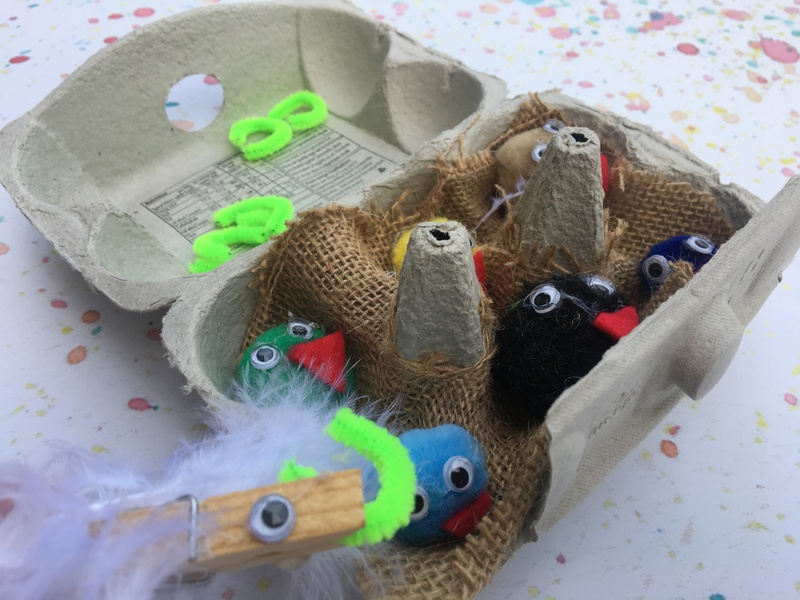 The idea’s so simple: six baby birds sit in their nests while mummy bird feeds them worms. We’ve had it about two months now and Little Bear plays with it almost daily. 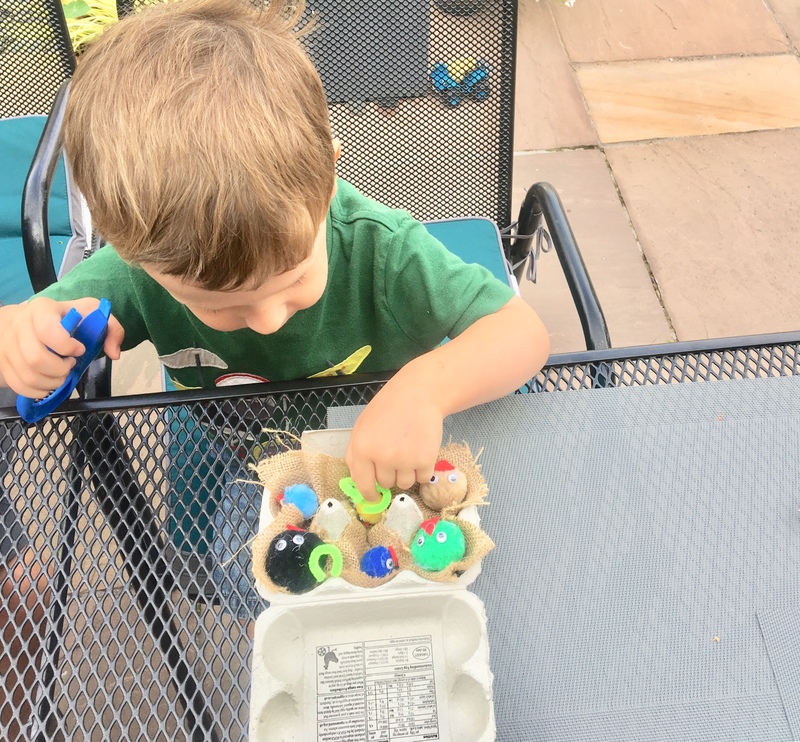 He favours the chunky tweezers over the peg (mummy bird) but either way it makes it a great fine motor skill activity. Little Bear enjoys the imaginative play element too. Line the egg box with the hessian, or other fabric, if using, cutting out holes for the raised bits. Stick the eyes on the pom poms. Cut the pipecleaner into six pieces to make ‘worms’. If you’re using a wooden peg for the mummy bird, stick an eye on the top of the peg and a feather on the side. Put one pom pom in each egg box hole. Pick up the worms one by one with the tweezers and feed them to each bird. Why not make two boxes so they can race you/their sibling/friend to feed the birds first. Don’t forget to tag me on social media if you decide to make this yourself, I’d love to see your version. 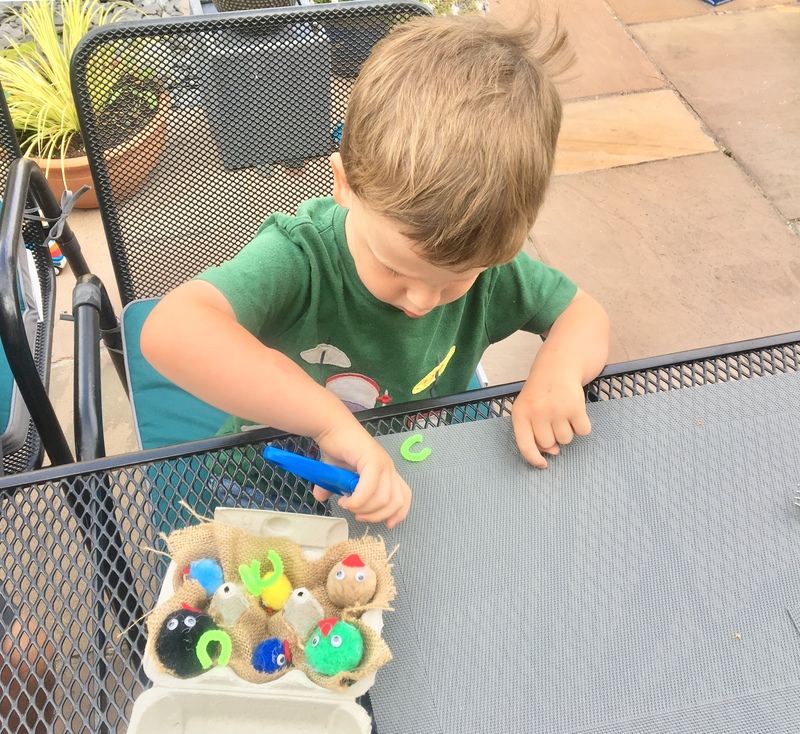 If you enjoyed reading Feed the birds – fine motor skill game, please share with your friends and family. It’s been a big hit! 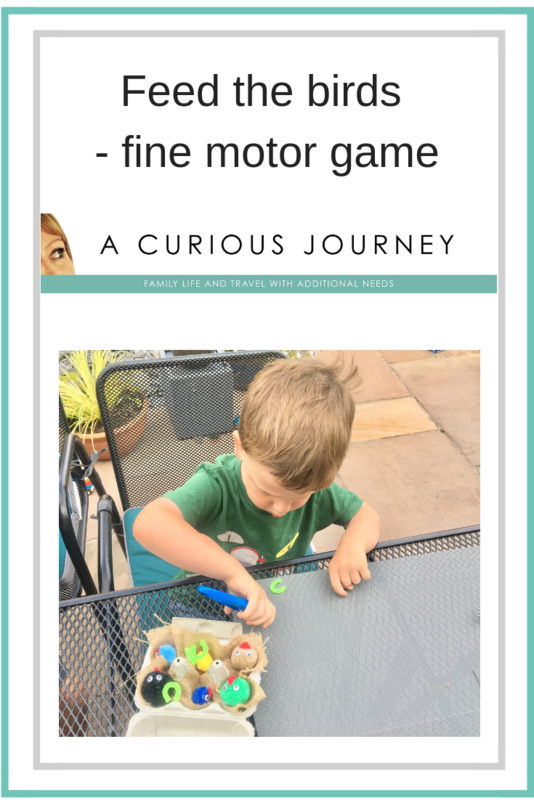 This looks like a really fun game for kids (and adults) as well as improving their fine motor skill. Having it as a competition using 2 of these is a brilliant idea.